Lola has her party hair ready--all that remains is to clear out the hoomins, after they have left some snacks out. Is that a hoomin leg that Lola is standing on?! Oh no! Lola can't have hoomins lying around making the place look untidy in her house when her party starts! Oi! Hoomin! Hop it! 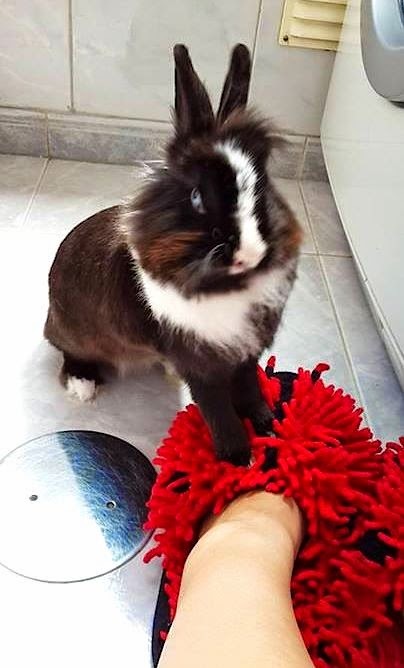 Unless you want me to bite your other leg off and force you to "hop it!" for the rest of your life! Out! Buy Carrotinis, bring them back here, and then do one! You're sleeping in Cardboard City tonight, hoomin!